I have a very hard time believing that the courageous men and women who risked everything to get to the new world could possibly imagine that, a few generations down the line, many of their descendants, the ones (at some level) they “traveled westward” for, the ones climbed over under and through amazing challenges for, would be so ill that they couldn’t walk up a flight of stairs without being out of breath. I find it hard to imagine that they could possibly have envisioned their descendants, the ones they fought wars for and shed blood for and sacrificed everything for would (in greater and greater numbers) appear to simply accept illness as a part of life, to “manage” conditions rather than doing what it takes to cure them. That their descendants, the ones they harnessed electricity for, conquered flight and space-travel for, and literally moved the world for (perhaps the most famous example is by disconnecting North & South America in 1914) would struggle to figure out a better way to stand up and care for the next generation. Maybe I’m not alone – perhaps you, like me, have realized that somewhere inside you’re grieving this apparent loss of freedom….I can’t speak for everyone, but I believe that as a population we’re inching closer and closer to the last stage of grief – where we start to shine some light on the situation, accept the reality, as ugly as it might be, roll up our sleeves and get to work…to, as the saying goes, decide it is: “better to light a single candle than to curse the darkness”. And so I make the following pledge – over the next weeks, months or years (as the need requires), I will do my part to light candles and shine light on the people who are living out the freedom that was intended for them; I will celebrate the stories of those who are helping to restore important freedoms; the freedom to move the way a body should, the freedom to conquer dreams no matter how distant a likelihood they seem, the freedom to live happy and healthy and most of all, the freedom to light the candle inside the individuals, communities and populations that need it most. 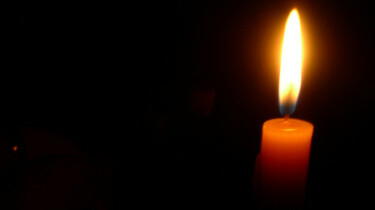 Send me your stories, light more candles…..it’s time to break the shackles of illness and step into the light. It’s Monday! Set your communities free. @mikeeisenhart inspiring Mike! Keep up the great work with everything you do! @mikeeisenhart i know someone with a great story of personal courage and perseverance. I’ll send her your post & encourage her to share!